Jowls can make you look old when you still feel young and full of energy. In fact, people can develop jowls, not just in their 50s and 60s, but in their 30s and 40s as well. Inland Empire, California (where I practice) has a hot, dry climate with lots of sun. Lack of moisture and too much UV light can damage your skin. Damaged skin tends to sag, and sagging skin produces jowls in many people. So, even if you’re in your 30s, you can start to see jowls appear. 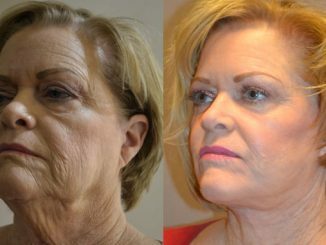 This article will show you what you can do to reduce or eliminate jowls at any age, regardless of whether you’re in Inland Empire, Chicago, Houston, Miami, Atlanta, New York, Providence or Boston. Jowls are a common sign of aging. Many develop jowls as they get older. This can be disappointing when you’re in your 60s and 70s. 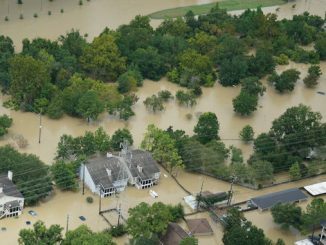 It could be a much bigger problem if you’re in your 30s, 40s or 50s. People often report that when they started to look older they became “invisible” in their social lives and at work. 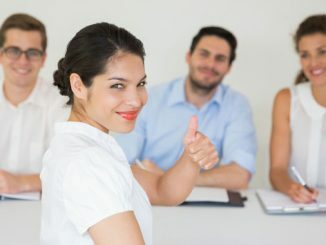 Looking older while you’re still working can make it harder to get promotions, raises or job security. Looking older when you’re single can make finding the right relationship more difficult. Fortunately, there are effective ways to improve or even eliminate jowls at any age. 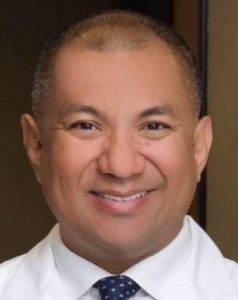 Editor’s Note: Dr. Brian Machida is a double board-certified facial plastic surgeon who practices in Ontario, CA, part of California’s Inland Empire. He has an exceptional level of experience and taught for years at the University of Southern California’s Keck School of Medicine. 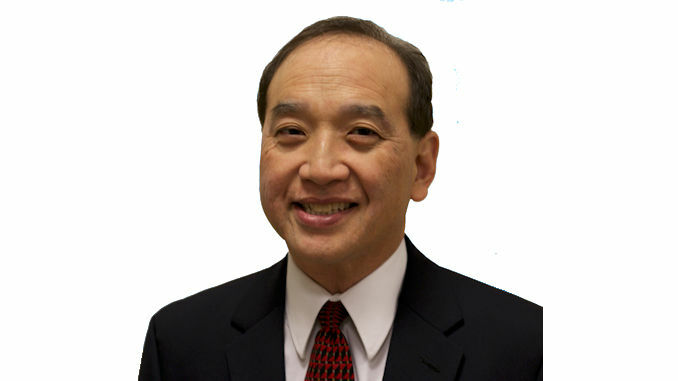 So far in his career, Dr. Machida has performed nearly 4,000 facelifts. Jowls are a noticeable symptom of loose, sagging skin that often produces wrinkles and marionette lines that run from the corners of your mouth to your jawline. What causes loose sagging skin? Basically, it’s a decrease in collagen and elastin – two proteins that make up connective tissue. Collagen helps hold skin and other body tissues together. Elastin allows your skin to stretch and then snap back into place. Together, these fight the pull of gravity and sagging skin. Decreased production of these key proteins in the skin near and below your mouth causes wrinkles, marionette lines and jowls. Jowls can make you look old because collagen and elastin production slows down with age. Too much sun exposure (or too little sunscreen protection) can accelerate this process and damage your skin. “Tech neck,” caused by constantly looking down at your phone or computer screen, can stretch your skin and lead to jowls. Smoking or vaping can produce jowls, upper lip lines and marionette lines. This is because tobacco chemicals can damage collagen and elastin. Nicotine does this, and can reduce blood flow to your skin. This deprives it of blood, oxygen and nutrients like Vitamin A that skin needs to remain healthy. Losing weight, while great for your body, can be tough on your face. In some cases, it can lead directly to jowls. Genetics can also play a role. If your parents have jowls, you may be more likely to form them as well. If you’re still in your 30s and 40s, the first thing to do is to stop the jowls you’ve formed from getting worse. Quitting smoking or vaping could help slow down your facial aging. Consistently using sunscreen with both UVA and UVB protection is crucial. Regular exercise is important. A good diet can also help reduce facial aging (see “Can Food Fight Wrinkles and Aging Skin?” on LookYounger.News). Along with taking action to slow down your facial aging, you’ll want to treat the jowls that have already formed. 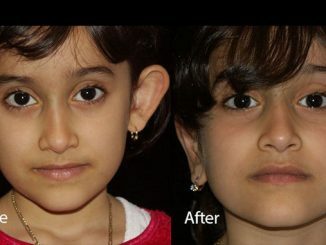 One way you can do this is with fillers. 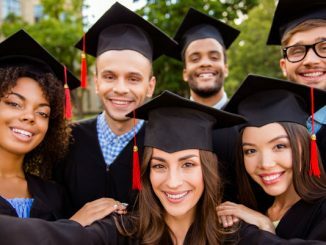 When you’re in your 20s your face has a triangle shape, broader at the upper cheeks and narrower at the chin. As people age, they often lose some tissue and bone in their midface. Replacing that lost volume with a filler can lift your skin. This can improve marionette lines and jowls. 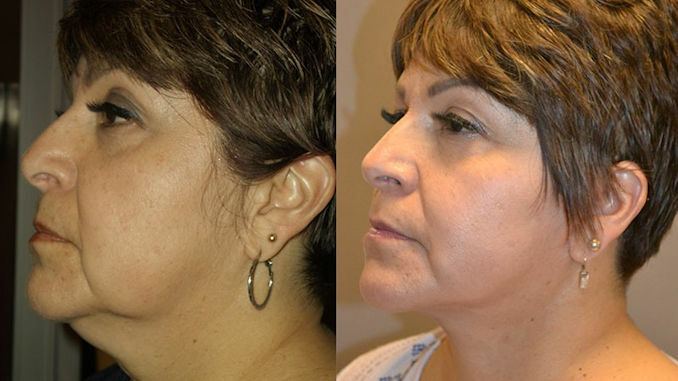 In addition, filling facial hollows can make any remaining jowls less noticeable. Two main types of fillers are particularly helpful for treating jowls. Hyaluronic acid fillers like Juvéderm and Restylane can not only provide needed volume but also attract and hold hydration. That can further help your skin. Unfortunately, your body always absorbs these fillers. 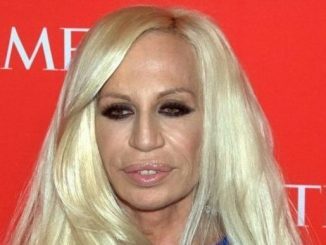 You’ll need injections every year or two to avoid losing your great new look. Bellafill is an ideal filler for people in their 30s and 40s. It stimulates collagen production, which helps it last 5 years or longer. If you’re over 50, it will probably take more than fillers to treat facial aging like jowls. One solution is the Renuvion / J-Plasma system. It uses electrically charged gas to tighten skin more effectively than any other less invasive method. It also increases collagen and elastin production. This can make your great, younger look improve over time. But while Renuvion/J-Plasma treatment causes less discomfort than a surgical solution, you will have redness for several weeks (see “Best Treatment for Your Jowls and Wrinkles: Fillers? RF Treatments? Laser or Renuvion / J-Plasma System Skin Resurfacing? or Facelift?” on LookYounger.News). While some prefer a less invasive option, nothing eliminates sagging skin on your jawline better than a lower facelift. 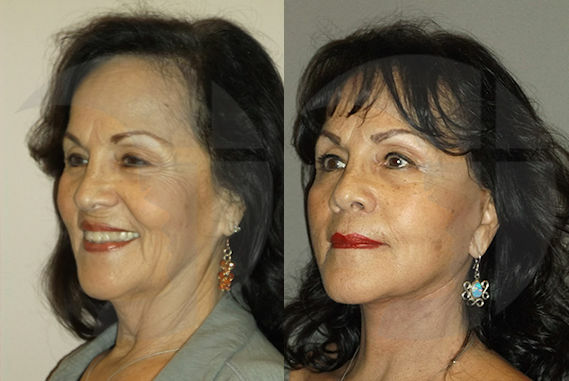 Unlike Renuvion/J-Plasma, a lower facelift has a 10-day turnaround. You will be ready to resume your normal activities in 10 days. 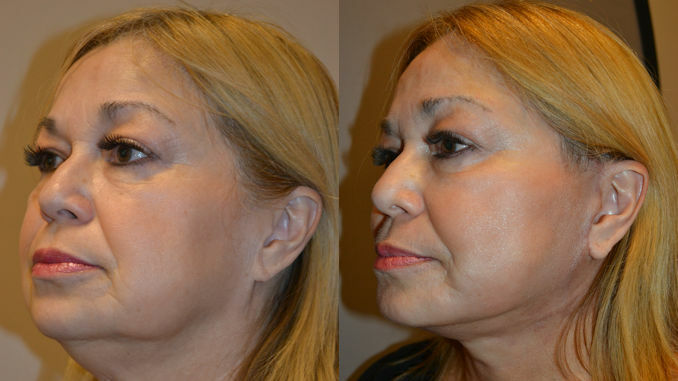 A good lower facelift is more complete than a mini-lift. It also improves marionette lines and softens nasolabial folds. And it can last for years. If you want to get rid of your jowls, you have good options at any age. First, you’ll want to make sure you’re not contributing to your facial aging. Quit smoking or vaping, get regular exercise and eat a good diet. What’s the best way to treat sagging skin on your jawline? An experienced facial plastic or plastic surgeon can tell you during a free consultation. 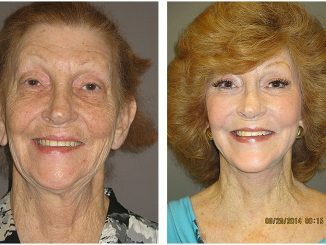 If you’d like to eliminate your jowls in Inland Empire, east of Los Angeles California, please visit me at STC Plastic Surgery in Ontario. 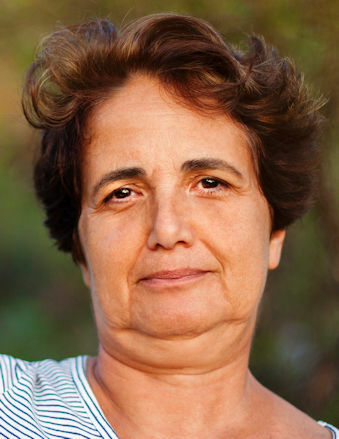 How Can I Best Improve my Double Chin and Turkey Neck – with or without Surgery? Best Treatment for Your Wrinkles – Botox, Fillers, Microneedling, Laser or Renuvion / J-Plasma Resurfacing?